Mackenzie Construction has been recognised by the Considerate Contractor Scheme for its ‘Performance Beyond Compliance’ while carrying out work on behalf of Scottish Water Horizons. The 35 hectare site is being developed to provide hundreds of new homes for Newton Mearns as well as a new primary school and a community religious facility for future residents. 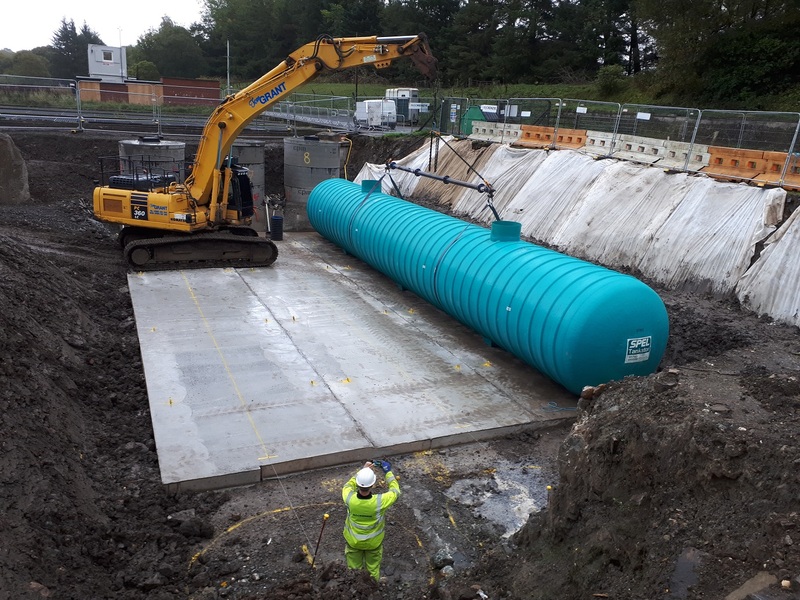 Scottish Water Horizons delivered the water and wastewater infrastructure for the entire site, working closely with Mackenzie Construction on the design and build of the waste water side of the project. 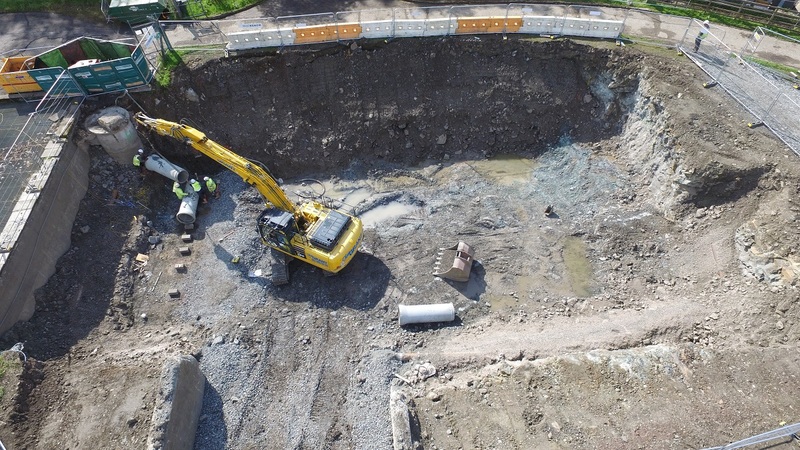 The project consisted of upgrades to the existing sewer network to support the new development. The work also added storage to hold nearly 400,000 litres of waste water, protecting the local environment. The Performance Beyond Compliance certificate is awarded to contractors who exceed the standards set by the scheme. These include caring for the appearance of the site, respecting the local community, protecting the environment, securing the safety of anyone on site and valuing their workforce. 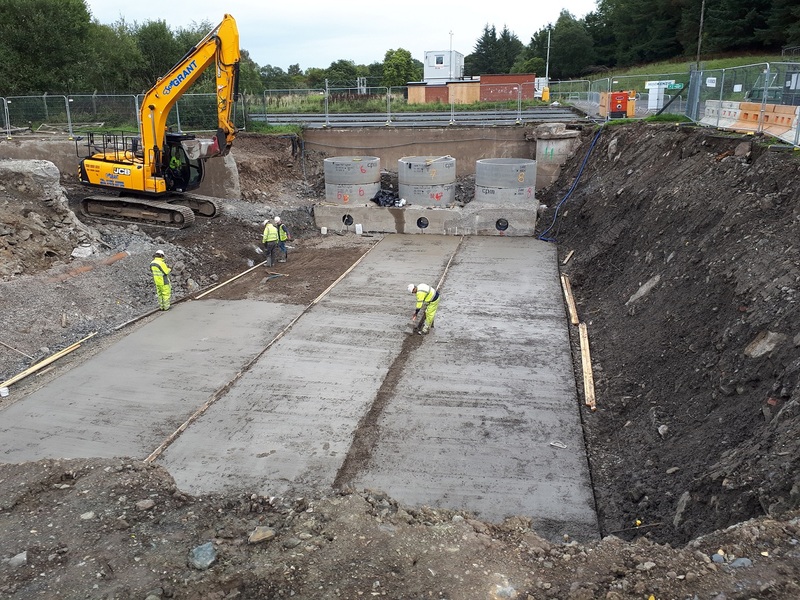 Scottish Water Horizons operations manager, Colin Lindsay, said: “We’re proud to have worked with Mackenzie Construction on this project and the recognition awarded to them by the Considerate Contractor Scheme is well deserved. “We are aligned with the values set out by the Scheme, and work to ensure that all of our sites meet the same high standards. Andy Dalrymple, managing director of Mackenzie Construction, said: “We are very proud of the team for their continued dedication to ensuring that we make every effort to mitigate impact on local communities, and collaborative working with Scottish Water Horizons has been a vital component to achieving this success. Once complete, the development will provide 900 new homes in the area.